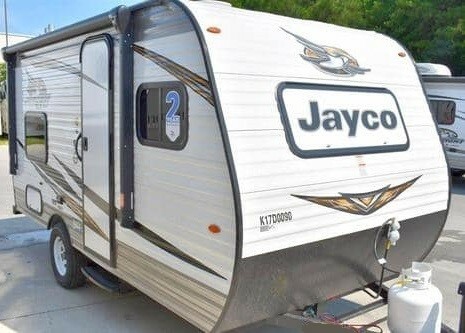 2019 Jayco Jay Flight SLX 154BH Travel Trailer Reviews - Let's RV! ​The Jayco Jay Flight SLX 154BH is a light weight single axle 18 foot trailer that is towable by most half ton​ trucks, some mini vans and SUVs. As soon as you enter, you will notice a dinette to the right (the front of the trailer). This dinette converts down into additional sleeping space but can be folded up and used as an outside picnic table. To the rear of the trailer you'll find a bathroom containing a shower and toilet (separated). The rear passenger's side contains two single bunks​, both rated for 300 pounds, with comfortable 4 inch thick bunk mats. Your kitchen, along the driver's side wall, contains ​a temperature controlled 3 cubic foot refrigerator and freezer combination, a 2 burner stove, a single sink with a microwave above. 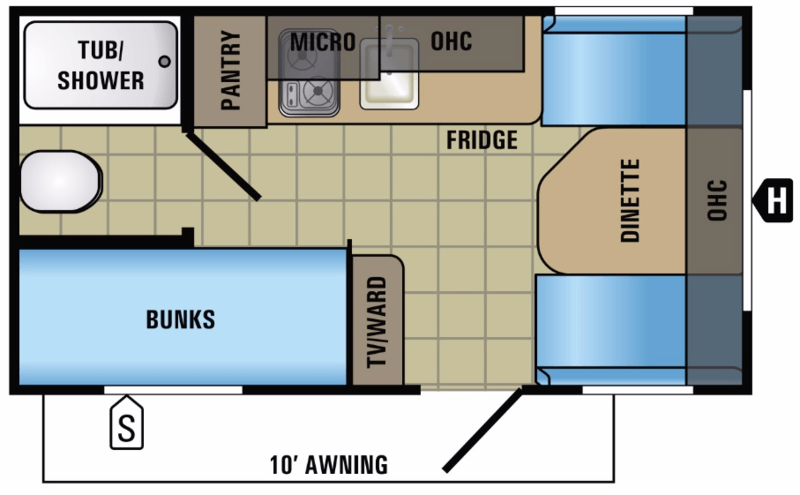 Being 6ft it’s a tight squeeze for me but the size and floor plan work for our family’s style of camping. We don’t like to spend too much time inside but when we are, it has everything that we need to be comfortable. This small bunkhouse Jayco fits my family of 3 perfectly! Light weight and super easy to tow - we're pullin with a mini van.